According to the MBA Practice Profile, frame, lens, and contact lens sales account for 60 percent of total revenue, making it the largest single source of revenue in an independent optometric practice. When lens products and frame inventory is strategic, the optical can be a profit center. On the contrary, when the inventory management, merchandising, or marketing systems are deficient, the profit opportunity from the sales of frames, lenses and contact lenses are diminished. The Merchandising & Marketing Your Optical Workshops are open to Members and prospective Members and are free to attend. Please fill out the form below if you wish to download course notes after your event. 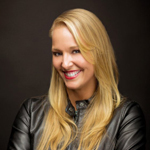 Samantha is a professional speaker and marketing rockstar for Innereactive, located in Grand Rapids, Michigan. She grew up in an optical practice with multiple family members in the industry. An ABO certified optician herself, Samantha worked as a dispensing optician for eight years, as well as managed an independent optometric practice. In 2003, she started Innereactive, a full-service marketing company that specializes in the optical industry. Her experience as a certified optician, along with her formal marketing education has given her a unique perspective on marketing, design, and website solutions for the optical industry. Samantha lectures internationally, teaching optometrists and opticians proven strategies for marketing and enhancing the patient experience. Her niche expertise led her to be named one of the “Most Influential Women in Optical,” and her company was named one of Michigan’s Top 50 Companies to Watch in 2016. She and her team work with laboratories, frame and lens manufacturers, and eye care practices across the country. Doug is the owner of Optical Solutions consulting company and a professional speaker for Innereactive. With over 35 years of merchandising and management experience, he started his career on the loading docks of Neiman Marcus and worked his way up to managing the stores of this high-end, luxury retailer. He also worked for I. Magnin and finished his retail career with Macy’s where he was responsible for 18 stores in five states. In 1999, Doug transitioned into the optical industry where he served as President of a two-office, five-doctor practice that under his leadership, became a market leader with 16 locations and 25 doctors. In 2009, he started his consulting company Optical Solutions. Since that time, Doug has used his expertise to advise and help lens manufacturers, a doctor alliance group, and over 100 eye care practices. He lectures across the country teaching eye care professionals how to expertly integrate purchasing, merchandising, and selling into their business.